“Counterparts to be counted on” is a 32-part series where we the “Front Office” of www.couchpotatogm.com analyze one offensive player and one defensive player on each team that MUST have a particularly strong individual season in 2016 for their respective teams to have a successful 2016 campaign. An awful injury riddled season for the Cowboys last year. Four different QB’s held the keys to the offense last year. Tell me if these names get you excited for Sundays: Matt Cassell who played in seven games, Brandon Weeden played in three games, Kellen Moore played in two, and Romo played in four. Once again Romo fell short of seeing an entire season. And with the loss of there best player Dez Bryant the season was bascially over; even though mathematicall they weren’t out of it until later in the season, any fan knew without Romo they had no chance. This in turn exposed the defense and put them in a bad place, constantly on the field. If I’m a Dallas fan I’m wondering do we have a plan?!?!? If Romo gets hurt again who’s to take mantle and lead us into the playoffs.? And yes I said playoffs. Dallas fan seems to think they are on the cusp every season. Despite the three suspensions on defense and lack of depth at every position except offensive line and maybe tight end. Jerry Jones was rumored to have tried to get back into the first round of the draft to select QB Paxton Lynch but the price was apparently too steep and the Cowboys ended up settling for Dak Prescott later in the draft. What is the plan Dallas fan? Despite this anemic roster there are a couple of players that must succeed in order for Dallas to take back the NFC East. Ezekiel Elliot – Ezekiel Elliot was the 4th overall selection in the 2015 draft made by “America’s Team.” Coming out Ohio St. Zeke amassed 592 attempts for 3,951 rushing yds with an avg. of 6.7 per carry and 43 TDs. In the receiving game, nothing special just 58 catches for 449 yds. Going into the 2015 draft he was the most talented and most NFL ready back even though he was coming from that spread “mesh” Urban Myer offense. We know what that offense can do for RB’s but do we know what it doesn’t do for those same RB’s? Do we know if Zeke can run out of the “I?” As opposed looking at the guard, tackle, and defensive line (pre-snap) every play to determine where to go? Can he consistently catch the football out of the back field? According to the masses Zeke can do it all. Some hold him in the same esteem as those we know to be transcendent, peerless, and special like a Todd Gurely, Adrian Peterson, or Le’Veon Bell. While I don’t think he is that type of player, what I do think is he is behind the best offensive line in football. And when you match that with what he is capable of, you get a player whose potential shouldn’t be hampered, masked, or obstructed like players that typically get drafted that high only to end up on bad teams resulting in a stifling of their talents. Dallas wants to return to yesteryear, “The Trinity”, Aikman, Irvin, and Emmitt; and now Romo, Bryant, and Elliot. Along with that OL of course. Not sure if I believe that though, but this is a great trinity to have nontheless. With Romo being like paper mache with a collarbone he has broken multiple times, Dallas will have to lean, no… LAY on Elliott in all facets of the game to protect Romo. It’s really simple math, the fewer times Romo drops back the less likely he is to go down to injury. You don’t draft a RB 4th overall and use him sparingly or split carries with him in anyway. I mean the only other healthy running back you have worth a damn right now is Alfred Morris. Along with the “Trinity” talk Dallas wants to look more like the team that was one win (catch) away from heading to the NFC championship game. In that year Demarco Murray touched the ball 449 times and had over 2200 yards from scrimmage. That’s the type of workload I foresee for Elliot this year. He will be the workhorse, the bell cow, he is the Counterpart to be Counted On. 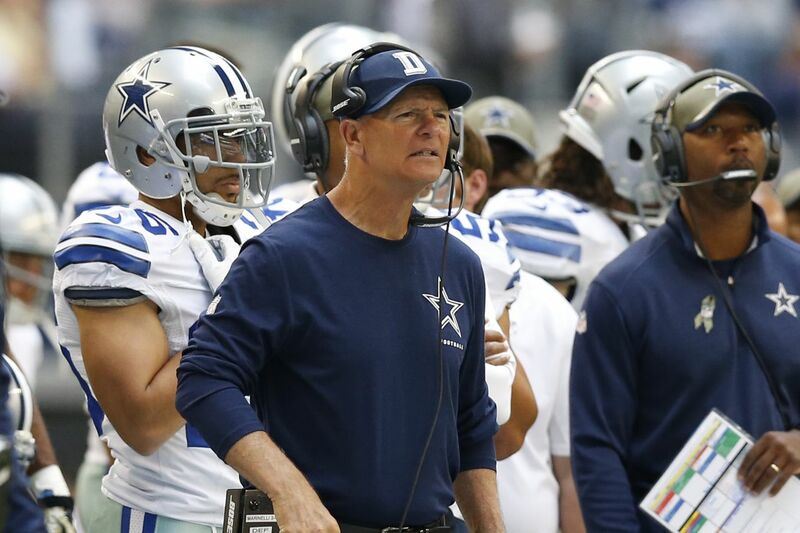 Rod Marinelli – I am simply going with the Defensive coordinator Rod Marnelli for Dallas for two reasons. 1. They have holes/questions at every level of the defense. Whether that’s be because of injury, Sean Lee, Jaylon Smith (who most likely won’t play this year); suspensions, Rolando McClain (4 gms), Demarcus Lawrence (4 gms), and Randy Gregory (which was originally was 4 but now is 10 games) all for substance abuse, lack of developing drafted players (Morris Claiborne) and/or just not drafting the right players. All of those names I mentioned were selected in one of the first two rounds. As we know Dallas wants to replicate the 2014 team on both sides of the ball. Defensively, in 2014, Dallas was an opportunistic group and when a turnover presented itself they took full advantage of the folly. That defense racked up 31 turnovers good for 2nd most in the league. However, opportunistic isn’t necessarily what you want your defense to have to depend on, it only lasts so long, case and point the 2015 season. If Dallas’ defense can just be average this season they’ll have a chance to compete in this division. It’s not like Cowboys don’t have talent on that side of the ball with the likes of Orlando Scandrick who’s coming off of injury, Barry Church their leading tackler last 2 seasons, and Byron Jones, the athlete. Marnelli is a coach who can make chicken soup out of chicken spit. He knows the limitations of those on the roster and will put them in the best position to make plays and accentuate their talents. And maybe, just maybe that’s the thought process in Dallas’ Front Office. Follow CPGM Drew on Twitter.